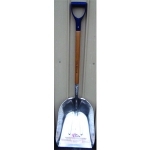 Super durable, light weight aluminum alloy scoop shovel. Five times stronger and more flexible and wear resistant than other brands. 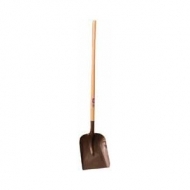 Indestructable poly D-grip handle with car-bumper strength. Made in the Usa.